Today sees the launch of the biennial UK Space Conference, taking place at Manchester Central, from 30 May through to 1 June. This year’s conference is designed to inspire, enable and connect the UK and international space community. The multiple plenary and parallel sessions feature informative and interactive presentations, workshops and debates covering a wide range of topics from space science through to how satellite data is being used by many industries here on Earth. The programme has been designed to provide a compelling forum to discuss the changing economic and technological landscape impacting the UK space sector. 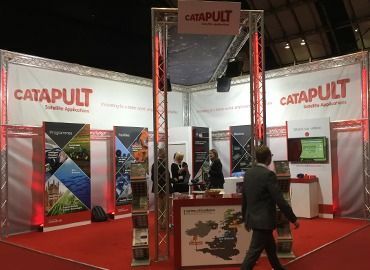 Stuart Martin, CEO of the Satellite Applications Catapult, said: “The UK Space Conference provides an invaluable opportunity for those involved or interested in the space sector to gain up-to-date information, network with peers, establish new contacts, exchange information and improve links with government, industry, academia, customers, suppliers, and the financial community.